Municipal Government: New Prague, Minnesota (Volunteer Fire Department, 21 years); 19?? to 19?? He was a member of the Republican party until 1968 when he switched to the Democratic party. Leadership Notes: He resigned as Speaker of the House effective January 6, 1992. Session Notes: He resigned to become the Executive Director of the Minnesota High Technology Council a private, nonprofit special interest group. He became the Executive Director on July 1, 1991. 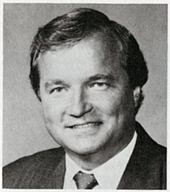 Leadership Notes: He was selected to become Speaker of the House by his caucus on June 2, 1987 and was officially elected to the position on June 25, 1987; the first day of the Special Session. 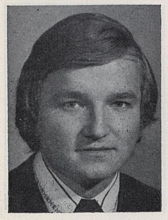 Leadership Notes: He became Assistant Majority Leader in May 1979. Tschida, John. "Members Leave House for New Experiences (Robert Vanasek)." Session Weekly, St. Paul: Minnesota House of Representatives Information Office, April 17, 1992, p. 20. "Vanasek Hopes to Tone Down Partisanship." Session Weekly, St. Paul: Minnesota House of Representatives Information Office, January 18, 1991, p. 15. "Speaker Vanasek Was Once a Republican." Session Weekly, St. Paul: Minnesota House of Representatives Information Office, February 9, 1990, p. 4. 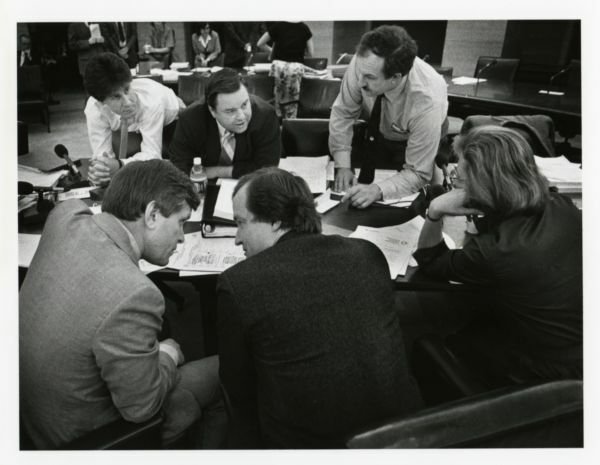 Robert E. Vanasek Papers, 1969-1991 - Available in the Minnesota Historical Society's Collections.